All these AMAZING people seen below have Tourette Syndrome and have accomplished amazing achievements! One of our own Southern California natives, Samuel J. Comroe, has been active and successful on the comic scene for a number of years. More recently, his reputation has exploded due to his exceptional performances on America's Got Talent. Billie Eilish (from Los Angeles) confirmed that she has Tourette Syndrome and that she was diagnosed with the disorder when she was a child. The 16-year-old singer took to Instagram to set the record straight after compilation videos of her tics began to surface online. Sixteen year old Carlos Guevara was diagnosed with Tourette's Syndrome four years ago... but he does NOT let that get in his way! With incredible support from his family and friends he delivers a FLAWLESS cover of 'Gravity' by John Mayer at his X Factor USA audition! Tim Howard is an American soccer player who captains the MLS club Colorado Rapids and the United States national team as a goalkeeper. Howard was diagnosed with Tourette Syndrome when he was in the sixth grade. Jim Eisenreich is a former American former Major League Baseball player. He played for 15 seasons, with a lifetime batting average of .290. Jim resides in the Kansas City area and runs the Jim Eisenreich Foundation for Children with Tourette's Syndrome whose goal is to help children with TS to achieve personal success. Jamie Grace Harper is an American contemporary Christian musician, singer, rapper, and songwriter from Atlanta Georgia. In 2006 she created a YouTube account and began posting videos of her songs online. In 2012 she won the Dove Sward for New Artist of the Year. Over the years her videos received recognition from Audio Adrenaline’s Mark Stuart, David Mullen, and eventually landing her a singing and acting gig with the television show iShine, and subsequent tour. Check out Jamie Grace’s Tourette Syndrome Q&A on her YouTube channel. James Durbin is an American singer and guitarist from Santa Cruz, California. He appeared on the American Idol Season 10 finale, singing "Livin' After Midnight" and "Breaking the Law" alongside British heavy metal band Judas Priest. James is currently the lead singer for the heavy metal band Quiet Riot. Mahmoud Abdul-Rauf is a former in the National Basketball Association (NBA). He played for nine years in the NBA. His career was marked by an appearance in the Slam Dunk Contest as well as by one of the most accurate free-throw shooting records ever. 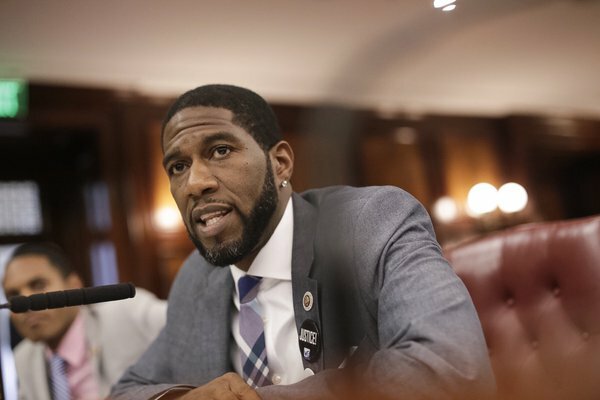 Jumaane Williams is an American politician and currently a Council member for the 45th District of the New York City Council. He currently serves as Deputy Leader of the New York City Council, and Chair of the Task Force on City Workforce Equity. He is a candidate for Lieutenant Governor of New York in the 2018 New York State elections.